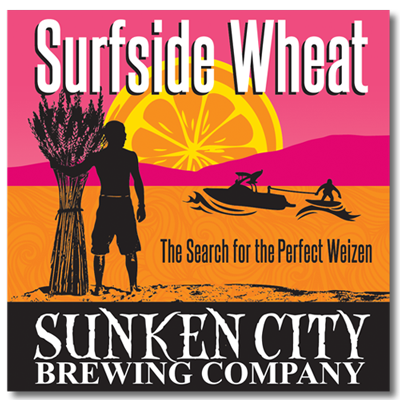 Tasting Notes: Surfside Wheat is an easy drinking hefeweizen, A German style of wheat beer so valued in its hay day that the German Nobles passed a law that only their personal brewing facility could make it. The special yeast used in this beer gives it a hearty aroma of bananas and cloves. We serve it with a slice or orange on the rim in the taproom. A best-seller!